Let's face it. How much volume can you expect from speakers that have to be small enough to fit inside of a very thin tablet? Adding larger speakers to the tablet will give you better quality and volume from the amplifier in the tablet. 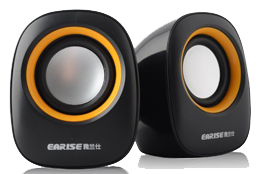 You can get passive speakers like the ones shown, that don't have a built-in amp, or get amplified speakers. Amplified speakers require AC power. Great for HD music and movies. For the mouse-savvy user, you can add a mouse to your desktop arrangement. 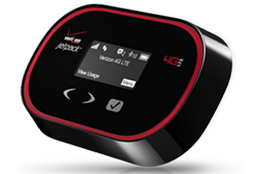 It can be of a wired or wireless variety. Either require a USB port. (We supply a single adapter with the tablet.) The wireless is nice because it is, well, wireless. The USB port on the tablet can support a keyboard and mouse arrangement. 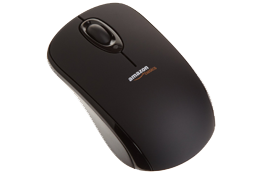 Selections can still be made with your fingers on the touch screen when using the mouse. Those with impaired vision, who would like a physical keyboard at their desk, will appreciate being able to see the keys on these specially made USB keyboards. 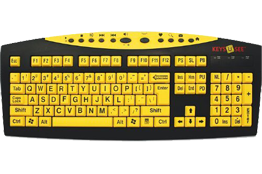 These are the same size and arrangement of a normal keyboard, but with lettering that is 4 times larger and with different color choices - even backlit. When the keyboard is disconnected from your tablet, the on-screen keyboard will appear when needed. You can connect up to 4 USB devices at once with a handy device like this one. 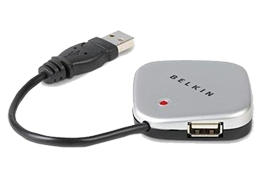 Use it to charge your phone, store extra music, photos or videos, attach a keyboard and a mouse - all available at once - and still have an extra port for downloading files from another computer, attaching wireless speakers or for auxillary charging of your tablet from another computer. This is a must if you are going to be using a desktop setup. There is a micro SD card slot on the edge of your tablet that allows you to insert one of these thumbnail-sized storage devices. Similar to the card that is used in your camera or smart phone, it can be used to store or hotswap photos and videos to your tablet. 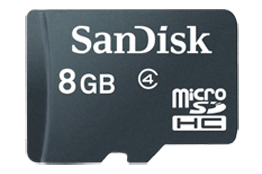 There are 9 GB (gigabites) of storage on your tablet, but you can expand that without limit with multiple SD cards. They are available in 8GB to 32GB options. 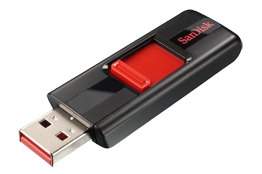 Also called flash drives, these little devices have been around for years and we all have a bunch of them, usually poorly cataloged. They are great, however, for transferring data from one computer to another. Just download files from another computer to your flash drive and then plug it into your tablet and copy and paste the files you want. 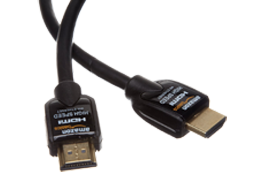 An adapter is included with your tablet to accept the larger connector. Wow! Even if you already have a printer, this is a way-cool device. These printers have an address in "the cloud" at places like Google. Using a Google "Cloud Print" app, which we load on every tablet, you print right from your tablet, it is then automatically formatted at Google, and then sent to your printer - even if you are at the local Starbucks. 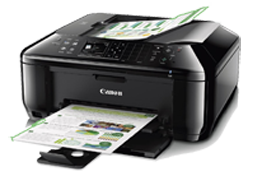 Your friends or family can also send documents direct to your printer - if you let them.